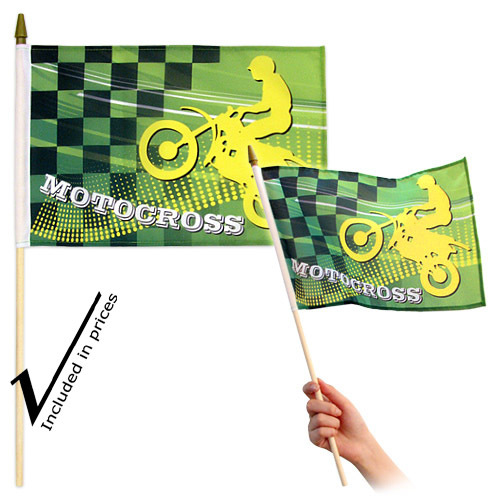 Hand-Held flags are Ideal for all Sporting Events, Community Events, Corporate Events, Promotional Event. 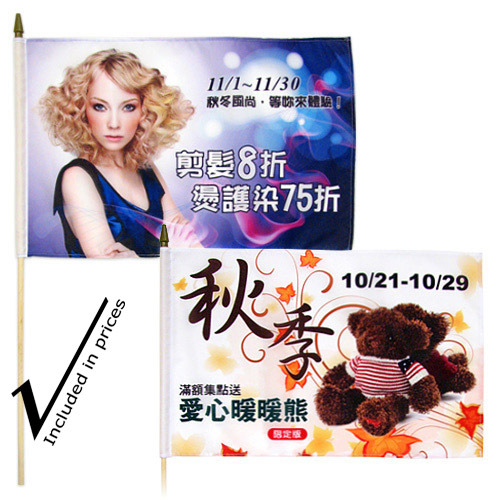 Full colour custom Hand-Held flag are made of 75D Polyester and are most effective when you have the opportunity of distributing them to a crowd. 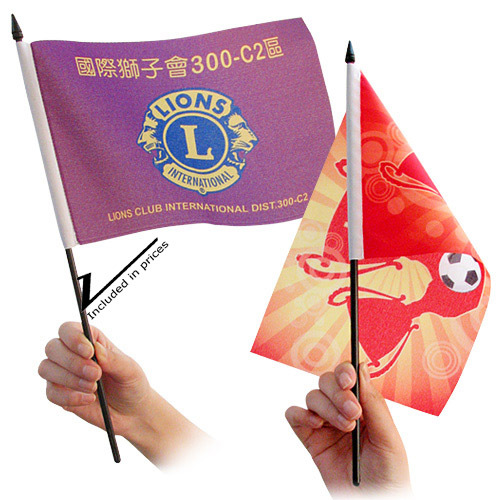 Your Logo or design will be printed on 1 side which bleeds to the other side 70-80% with mirror images. Individual Packing: Each piece in a polybag. HHF-XS – 3 unstitched sides are heat-cut to avoid losing threads. 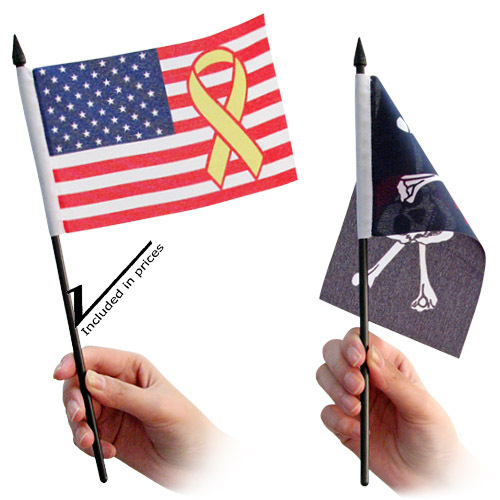 HHF-S – 3 unstitched sides are heat-cut to avoid losing threads.